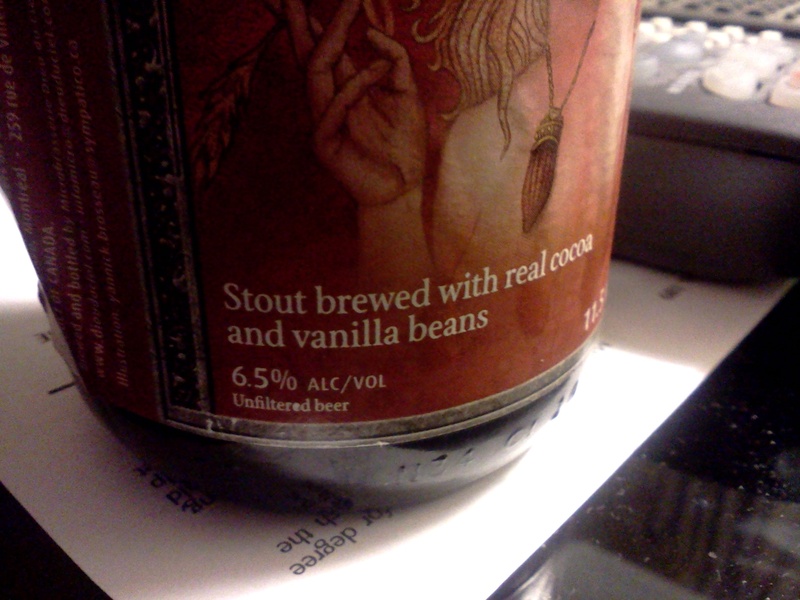 This is a chocolate stout with vanilla flavors. It pours black from the bottle, building a thick mixed foam head that dissipates quickly, leaving copious lacing. The aroma is of fine cocoa and zesty aromatic hops. The foretaste is of tart malts and dark chocolate. The chocolate flavor continues into the mid-taste, which adds a malt sweetness and mild hop bitterness. The rear taste adds a nice, fruity tartness while building the astringent hop bitterness and a splash of bitter malts. The aftertaste yields warm, smooth vanilla and hop bitterness. Overall, this beer has a rather thinner mouthfeel than I was expecting and the flavors aren’t as strong as I would have expected from a chocolate stout. 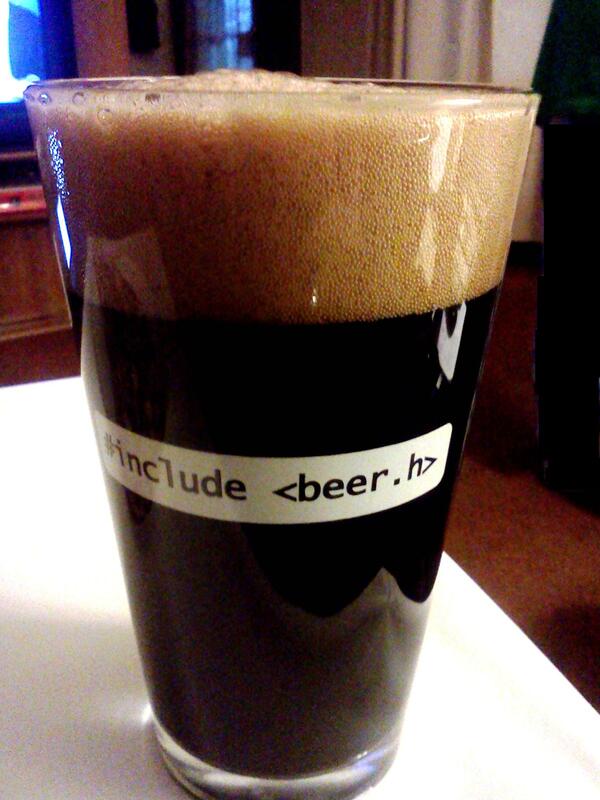 Rather, it lets the beer come first and chocolate add to it. This isn’t beery yoo-hoo. Which is a good thing in my book. I’d highly recommend this to beer drinkers who would like to try a chocolate stout that doesn’t taste like a Hershey bar. 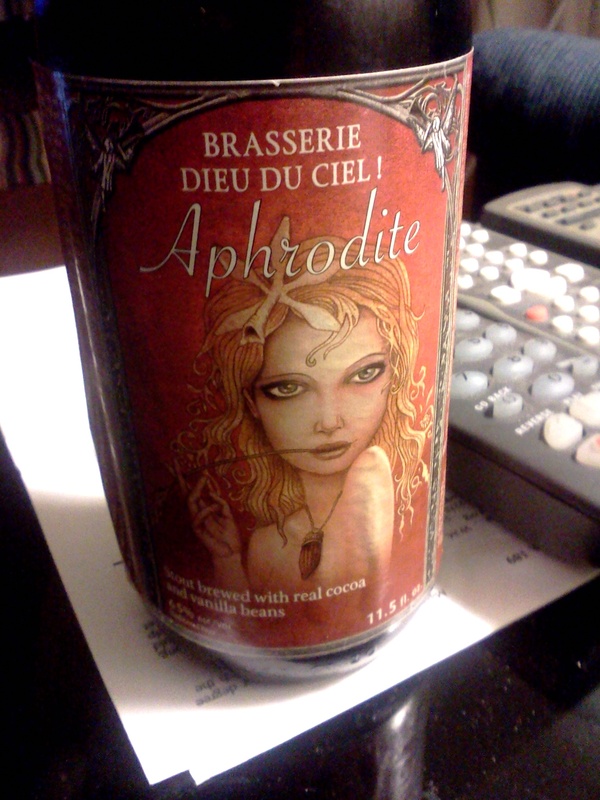 This entry was posted on February 28, 2012, 5:50 PM and is filed under Alcohol, Food. You can follow any responses to this entry through RSS 2.0. You can leave a response, or trackback from your own site.